Wandering City Blues: Galatea - First Details! Hey everybody! Excuse the lack of updates last week; my daughter finished kindergarten two weeks ago and she's been home with me over the summer, so it's been hard for me to find time to work on the book. Last week I simply hadn't done enough to report on for the blog so I held off until this week. Fortunately, today I've got plenty to discuss so let's get to it! Over the weekend I spent 8-10 hours developing and plotting the migration route for another one of my colossi. Galatea is essentially a 1,300-foot hermit crab in a slit shell (pictured below) that stands upright. 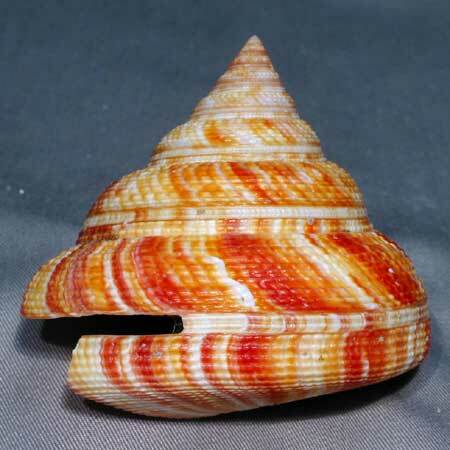 At that size, her city is built in a huge spiral walkway around the outside of her shell. She's attracted to a dozen or so of the North Atlantic's nicest beaches...plus Miami. I kid, I kid! So Galatea goes from beach to beach, spending 24 hours at each location. She swims along the ocean's surface at 20 knots, moving counterclockwise and stopping at 12 different beaches for a total distance of 11,080 miles. If you do the math on that, you'll find her entire circuit takes 32 days, 1 hour, 44 minutes and 21 seconds, beginning and ending at Praia de Santa Maria in Cape Verde. I'm really excited to develop Galatea's corner of my universe. When I was working out the plot of this book, a city on an upright conical shell was one of the first things I really wanted to do. I can't wait for you to read what happens!